We’re excited to kick off another year at the Consumer Electronics Show (CES) in Las Vegas! In 2019, we’ll continue to work with our TV partners to deliver premium picture quality, an easy-to-use interface and of course, the best selection of content, all at an affordable price. Roku TVs from top brands are currently available, and a few Roku TV announcements were made today at CES. Read below to learn what’s on the way! Today, TCL announced that together, we will introduce the TCL Roku TV 8-Series, the first Roku TV to offer 8K resolution. In sizes of 75” and larger, the 8-Series will deliver over 33 million pixels and feature powerful upscaling performance to bring an impressive sense of depth and clarity to today’s 4K and HD movies and TV shows. Additionally, select TCL Roku TV models expected to launch in late 2019 will offer an integrated high-performance far-field mic array, which allows customers to control a TCL Roku TV with their voice. We’re thrilled to announce that Westinghouse Electronics is the newest TV brand to join the Roku TV licensing program. 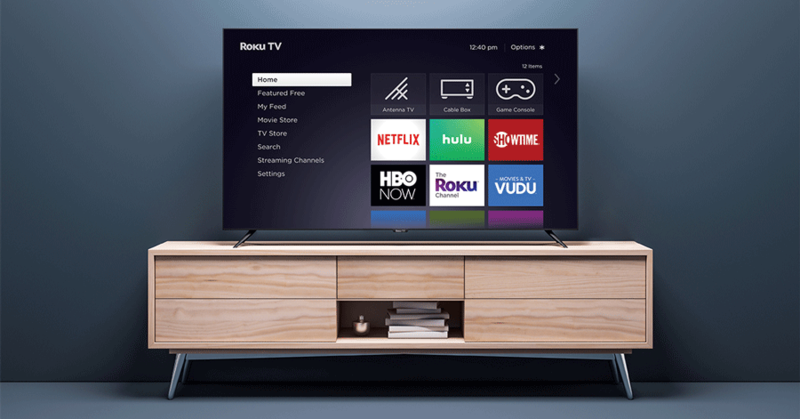 Westinghouse Electronics will leverage the Roku TV hardware reference design and Roku OS to deliver HD Westinghouse Roku TV models, expected in the first half of 2019, with 4K Westinghouse Roku TV models available later in the year. The just-announced Hisense Roku TV 4K UHD R8 will be the first TV to combine the stunning ULED technology with the intuitive Roku OS. With Dolby Vision HDR, full array local dimming, wide color gamut and 700 nits brightness, the Hisense Roku TV 4K UHD R8 will provide an outstanding viewing experience. Funai Corporation introduced the first Magnavox 4K UHD Roku TV. The product will offer display sizes ranging from 43” to 65” and is expected to be available in Spring of this year. If you are attending CES, be sure to stop by and see Roku TV models on the show floor in the TCL, Hisense, Hitachi, RCA-Technicolor, Curtis, and MTC booths. The post CES 2019: New Roku TV models are on the way, including the first ever 8K Roku TV appeared first on The Official Roku Blog.